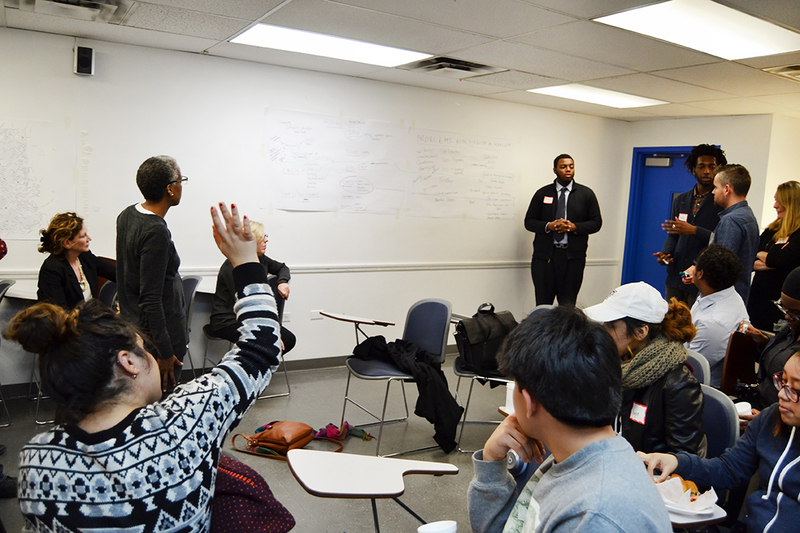 The initiative is a mixed method approach consisting of student-designed maps of selected Harlem neighborhoods, an interactive project room to share ideas, and a symposium on state of health care in Harlem and broader USA. My role was to run two workshops on community mapping, one at the School of Visual Arts and one in Harlem. 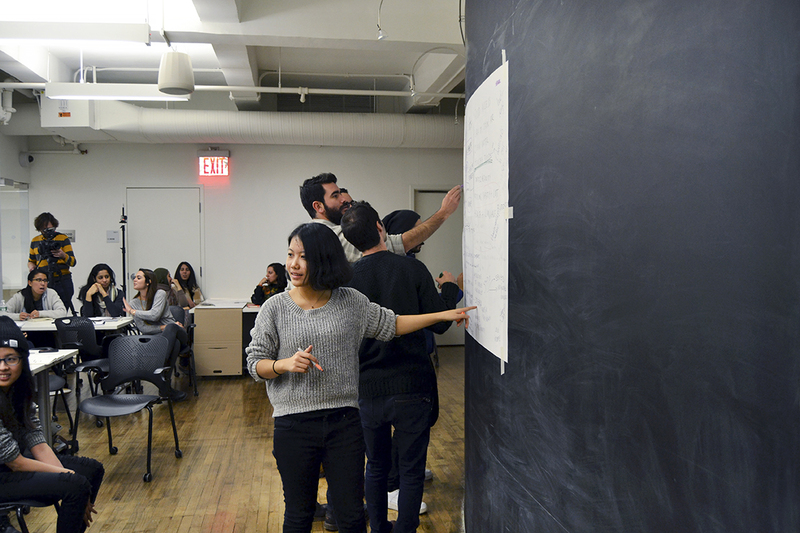 The first workshop was with the students from the Design for Social Innovation master program, at the School of Visual Arts in New York. 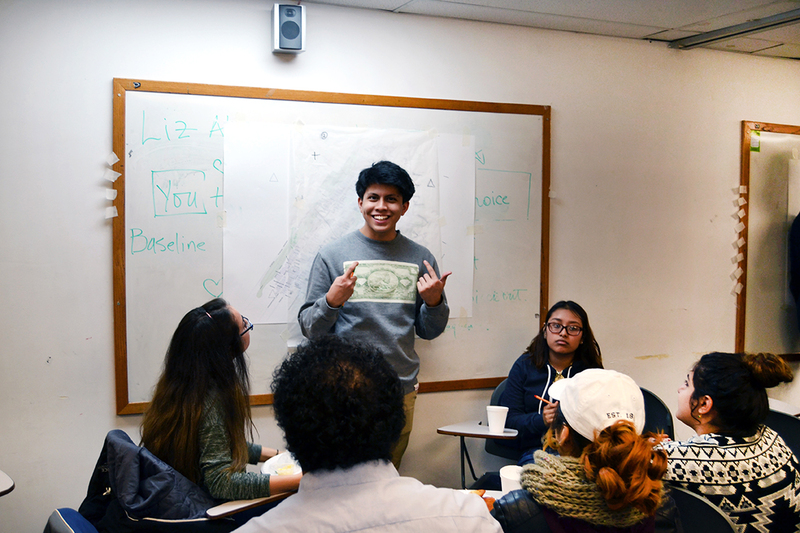 It covered topics of network mapping, spatial interpretation of issues such as security, access to healthy food and health services, gentrification, gender equality, and also, participatory map drawing. The class was designed to prompt students into thinking spatially about social problems, specifically, in this instance, public health. 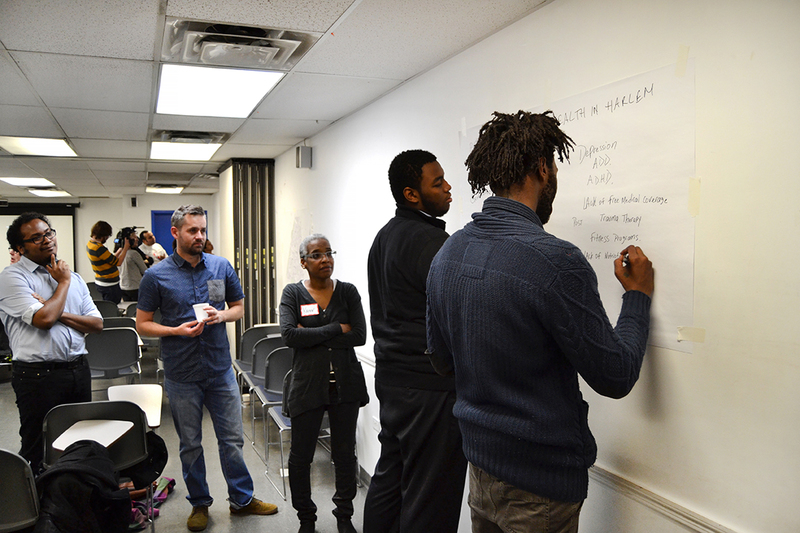 The second workshop, held in East Harlem at the Strive offices, was with community members and community health workers from Harlem. At the beginning of the workshop I presented community mapping done by Spatial Collective in Kenya and talked about governance, service delivery and community data. 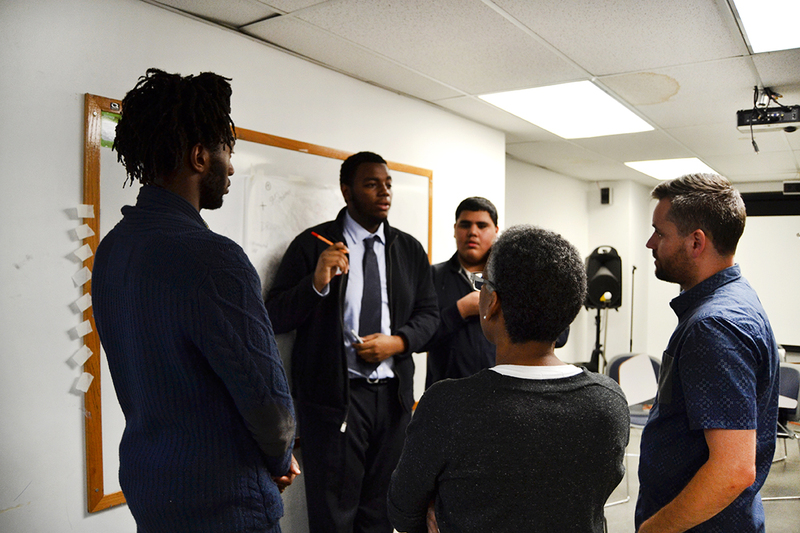 The rest of the workshop consisted of hands on network mapping and participatory map drawing/urban planning exercises. 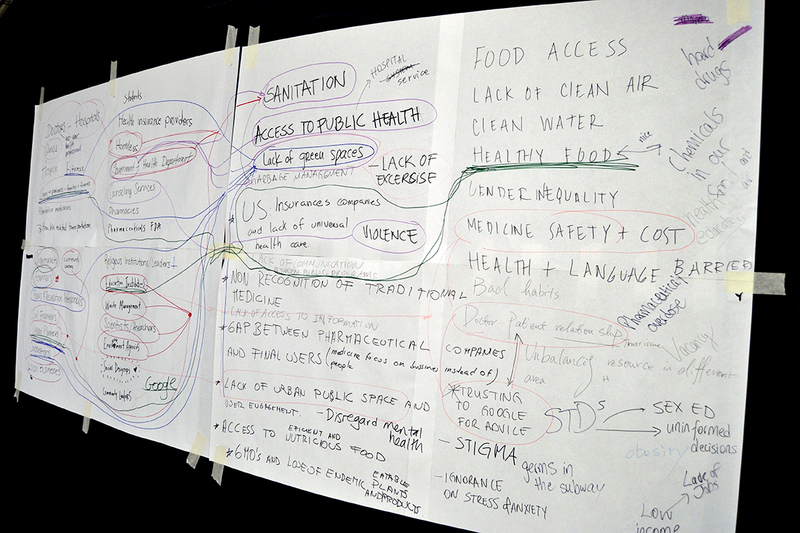 By juxtaposing actors and issues, the network map gave us an insight into the potential gaps between health issues, as identified by the community members, and health services provided by health workers and other institutions. Participatory map drawing defined some of the spatial locations within Harlem that were important to the participants, as well as spatial relations between issues ranging from community’s perceptions of their neighborhoods, gentrification, security, and potential solutions to health problems of Harlem. The main purpose of these workshops was to introduce the methodologies that were developed through the years in the informal settlements in Kenya and test their applicability in an area such as Harlem. In my opinion, the methods are easily transferable between places due to the universality of the problems at hand – in this case the health of a marginalized community. I’m excited to see where we can go from here. Primoz, It was such an honor to have you work with us, our students and the community in Harlem. New York loves you. The honor was all mine!